Sibylle Delacroix graduated from the ERG (Ecole de Recherche Graphique) in Brussels and worked by day as a graphic designer in several agencies while illustrating at night. She lives in Midi-Pyrenees in France, where she now tries to draw during the day and sleep at night! 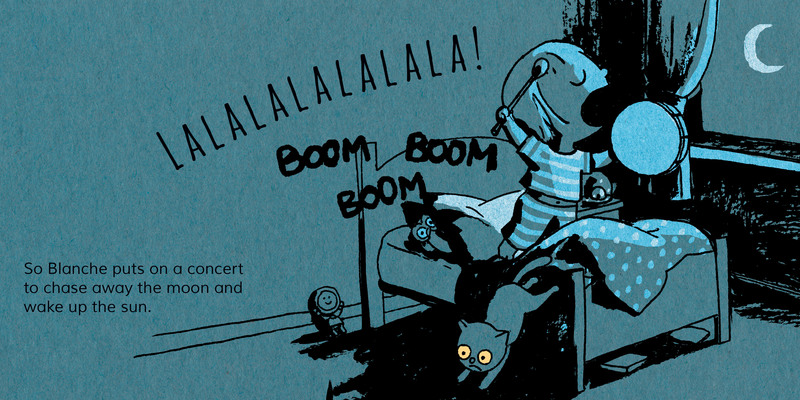 "A refreshing c'est la vie take on bedtime conflict." Every day ends the same. Night always falls. Blanche’s mom turns off the light and closes Blanche’s bedroom door. It’s time to go to sleep. There’s just one problem: Blanche hates the night. She does not want to go to sleep! She would much rather play. So she puts on a concert to chase away the moon and wake up the sun. She sings in rhyme and somersaults upon her bed, which she imagines is a trampoline. Blanche’s mother’s voice floats in: “Stop that racket!” and “To bed, my little songbird.” But Blanche dominates each spread with her expressive face and creative, endearing attempts to stave off sleep. Illustrations in a muted palette mimic shades of night while clean lines let Blanche’s charming facial expressions take center stage. Bursting with personality, Blanche is a willful, sensitive character kids will relate to. 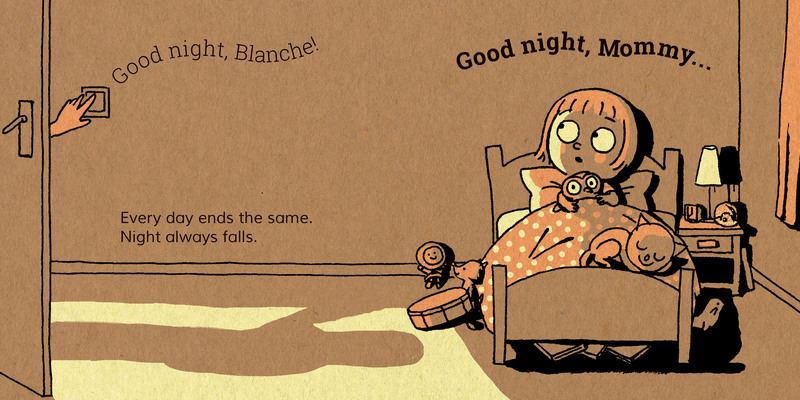 Blanche Hates the Night is an ideal bedtime read-aloud: eventually, exhausted, she falls into a peaceful slumber.